Lipstick, eyeshadow, and blush all are things found in makeup bags around the world. Makeup, which has been used for centuries, has been known to boost a woman’s confidence. So much so that 86% of women find that wearing makeup improves their self-image. And now, one study has found that wearing makeup also makes women feel smarter. Researchers from the University of Chieti, Italy, and the Harvard Medical School in the United States teamed up to look at how the “lipstick effect” is viewed all around the world. In simple terms, the lipstick effect is the idea that even when the economy is wavering, or if someone is struggling financially, women will still spend money on their beauty routine. For example, every month, over 100 million Americans visit beauty salons. This number stays relatively stable despite the fact that the economy fluctuates. 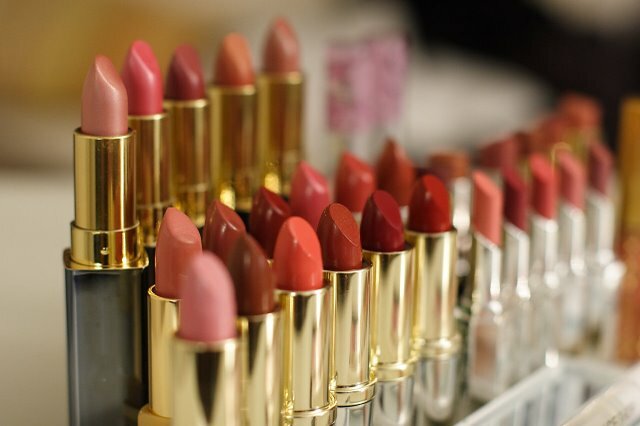 The lipstick effect was first developed in 2001 by Leonard Lauder. He noticed that cosmetic sales stayed relatively the same, and even grew, since before the Great Depression. The idea behind this effect is that since wearing makeup makes women feel good about themselves, they will continue to buy it no matter their financial situation. So, the Italian and American researchers decided to see if there were any additional reactions to the lipstick effect besides just feeling more confident. What they found was interesting — not only does putting on makeup make a woman feel empowered, attractive, and self-confident, it helps to boost her cognitive abilities as well. For their study, the researchers studied 186 female undergraduate students and discovered that these positive emotions had the ability to improve their academic performance. During the test, the women were split into three groups and asked to take a multiple choice quiz about a chapter in a general psychology book. The researchers asked the members of one group to apply makeup, another group listened to positive music, and the third group colored a picture of the human face before taking the test. According to the Huffington Post, the researchers found that the group that wore makeup outperformed the other two groups, as the researchers had previously predicted. Additionally, the researchers asked the women how they felt after taking the test, and those in the makeup group reported having a higher perception of beauty compared to the other two groups. So the results showed that not only can makeup cause someone to perform better cognitively, they will feel better about themselves in the process. The researchers are quick to point out that makeup isn’t the only way of boosting cognitive skills, and they have explained that their next step is to look into if makeup has lasting, long-term impact on a person’s cognitive performance. This study was published in the journal Cogent Psychology.